The best thing about a fenced playground is the reaction your shoulders have when you walk inside and close the gate. Your shoulders go down. You let a big breath out. It is that feeling of relaxed. Knowing that little one or two of yours is contained and that road over there is one thing less for you to worry about. Mamma had that reaction here at Dandenong Park. A completely fenced park with one of the largest sand pit we have ever seen. Not only is it a maze of logs and stepping stones and has everyone's favourite digger - but there is water. A 'castle' style wall with a tap with an automatic stop, lets water trail into the sand leaving the castle making opportunities endless. You'll find other things here too - spinners, rocking horses, a big climbing structure with a spiral slide and a look-out tower in the opposite corner. 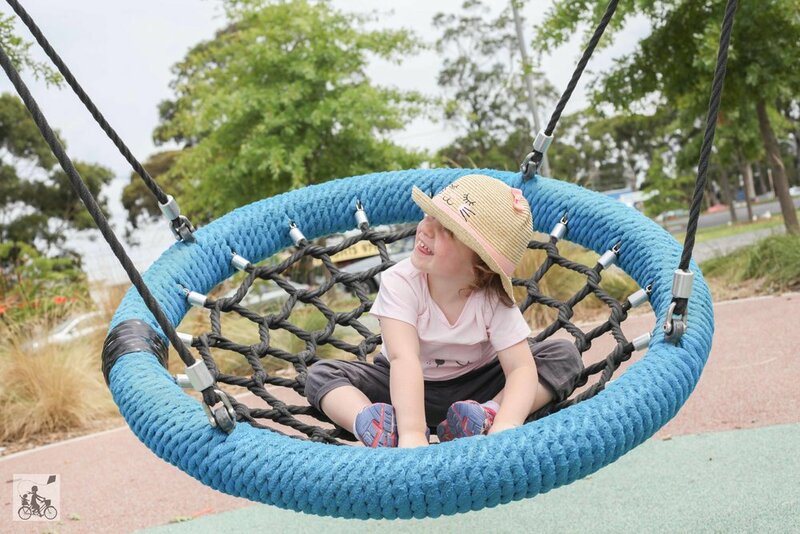 Mamma's special mention: Dandenong has plenty of great family friendly spots including the library, the market and in the suburb JUST next door Myuna Farm.